On an unknown date in 1912, Dr. Anton Köllisch of the Merck Pharmaceutical Company was working on creating a new blood-clotting medication. During his research, he discovered a string of new chemicals, one of which was named 3,4-methylenedioxy-N-methylamphetamine, or MDMA. At the time, neither Dr. Köllisch or Merck were aware of the drug’s psychoactive effects, which can include intense euphoria, reduced fear, anxiety, and aggression, increased energy, and visual distortions. It was these subjective effects, however, that caught the attention of the U.S. government, and they decided to take a closer look at the drug. By 1953, the U.S. Army Chemical Center was testing MDMA as a weapon for espionage. The medical community was also interested in the drug, though for far less self-serving reasons. The first published study of MDMA in humans, authored by Alexander Shulgin and David Nichols, appeared in 1978 and for the first time, doctors learned of the drug’s potential as a therapeutic tool. Over the next seven years, psychiatrists would conduct over 1,000 clinical sessions of MDMA-assisted psychotherapy. Unfortunately, during this time, MDMA also made its way into the black market. In 1985, the DEA reacted to widespread recreational by classifying MDMA as Schedule 1, a distinction normally reserved for drugs deemed to have no medical uses and a high potential for abuse. Despite expert testimony and court recommendations, it became illegal to make or possess MDMA, so research into its therapeutic value all but disappeared. In 1986, the Multidisciplinary Association for Psychedelic Studies (MAPS) set out to make MDMA-assisted psychotherapy a legally available treatment, and research has moved forward doggedly since then. Now, one hundred years after its creation, researchers and therapists are rediscovering the potential of MDMA-assisted psychotherapy to transform the lives of men and women suffering from posttraumatic stress disorder (PTSD). Care2 recently had the opportunity to talk with Brad Burge, MAPS’ Director of Communications about how far MDMA research has come and the legal challenges holding it back. Care2: Most people assume MDMA is a dangerous, illegal drug. What are we missing? Care2: How is MDMA being used to treat those suffering from PTSD? Burge: “It’s not the MDMA alone, but how it is used in combination with psychotherapy, that can help people suffering from PTSD. 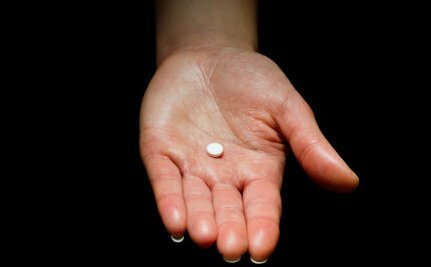 MDMA can actually increase the effectiveness of psychotherapy, allowing people with PTSD to discuss their painful memories openly and honestly. Psychiatrists and therapists have long recognized MDMA’s ability to decrease fear and defensiveness while increasing trust and empathy. MDMA also causes the release of hormones associated with trust and bonding, which may also help enhance therapy. Care2: What is MAPS doing now to help get MDMA back on the table as a therapeutic drug? Learn how you can take action to help make MDMA-assisted psychotherapy a legally available prescription treatment. Ecstasy, (Yes, The Club Drug) As A Treatment For Autism? Study: Can LSD Treat Alcohol Addiction? The article says that it is used only a few times at very low doses. As long as this is totally the patient's choice for every patient -- and every patient gets to read and know about the mdma before using this substance then that does not sound that bad. The questions are 1. what are the side effects? 2. What if the patient has an adverse reaction -- if there a way to get the mdma out -- or to neutralize the med? 3. Where are the studies on this? This is only one article. The whole thing is that people have other methods to getting better -- that have long-term studies. The article mentions only one or two studies. MDMA has no long term longitudinal studies because this MDMA has only recently been used. People do not know what the true long-term effects are on patients. MDMA -- if used -- may not be good for all people, some who may or may not have side effects. MDMA is a risk -- and may need more studies -- though some people may choose to be part of the experiment -- by taking the MDMA. I'd heard it was used in the first world war, supposedly the 'courage' of the time given to soldiers to calm them down and relax them on the battlefield. Apparently the cause of the Christmas day football match in no mans land between the English and the Germans. (3-2 to the English) later it became our party drug with strobe lights and lasers taking the place of tracer bullets and explosions, yeah..make love not war. That's why we call it ecstasy. MDMA is a beautiful drug! It makes you not only love people, but like them as well! With open adoration. And admiration, it also takes away your inhibitions and turns you into a good dancer. It's nice that most comments here are at least grateful for the knowledge presented here. Sad some of you express knee jerk opinions that imply you didn't even read the article. The DEA is not a medical organization in any way, there are no doctors on staff, they are strictly an arbitrary law enforcement organization created through an executive order in July 1973 by President Richard Nixon.